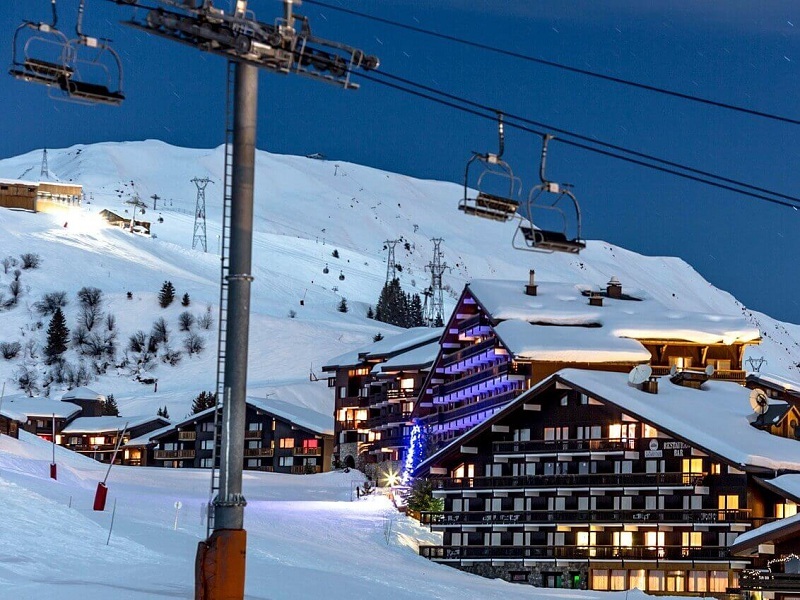 Do you love skiing but often the expensive tickets to ski areas upset you? The smaller ski areas in America will bring you all the happiness with the shorter lift lines, inexpensive tickets and a friendlier feel. Check out the best small ski resorts in America and make your next travel plan. All thanks to its location to the west of Tetons that the ski area of Grand Targhee experiences a massive annual snowfall of over 500 inches. It is one of the best ski towns in North America welcoming crowd of adventurer travelers every year. Even though there are only five lifts, you needn’t wait in the line for your turn as the crowd passes by Grand Targhee faster to reach the most popular Jackson Hole, located at an hour’s distance from the ski area. Where to stay: You can stay at Grand Targhee Ski Resort having suitable housing options – two-bedroom suites and ski-in-ski-out rooms. With the regular increase in lift tickets reaching $100 at several resorts, Mt Abram in Maine is an exception. The ticket prices is only $49 here for a full day and a half-day ski tour will cost you only $39. Are you planning a trip to Maine on a Thursday or Friday? Snag tickets on a discounted price at $29 and get an access to 54 trails and 5 lifts. If you haven’t book your tickets yet, find cheap last minute flights at Indian Eagle. Where to Stay: Mt. Abram doesn’t have on-mountain lodging but a night at Bethel Hill Bed and Breakfast is a great choice located down the road. It may be a small ski resort, but Magic Mountain has a mighty terrain. Founded by Swiss ski instructor in the year 1960, Magic Mountain is one of the best places to ski in America. With an intention to create a ‘little corner of Switzerland’ on the American soil, the ski instructor developed this challenging terrain. Calling it challenging doesn’t state that it is only for experienced skiers, but the beginners can also try the other numerous intermediate and easy trails in the area. Despite the recent investment of $1.5million for lift improvement and snowmaking, the full day ticket prices are still at the affordable $74 for skiing. Where to Stay: Stay in the Upper Pass Lodge near the Magic Mountain. Planning for a ski destination wouldn’t make you think about Michigan instantly, but the charming sate is home to almost 3 ski areas. Big Powderhorn is a perfectly located small ski resort in the Upper Peninsula experiencing around 17 feet of natural snowfall every year. You can relax in the Bavarian-style village at the base offering plethora of ski-dining and drinking options. You will also get the facility of free shuttle bus to and from the ski mountain. Booking business class flights to Michigan will be worth enough when you visit this amazing ski resort. Just take out a couple of days after your business meet. Where to stay: Stay at Big Powderhorn Mountain Resort that offers perfect ski-and-stay deals on booking lift tickets and lodging together. Being one of the best ski resorts on the map of USA, Whaleback Mountain is a locally owned and non-profit ski mountain, located in New Hampshire. Owned and run by Upper Valley Snow Sports Foundation, the small ski resort preserves the mountain keeping it accessible and affordable for the surrounding communities. Pay a visit on any Friday evening with your family for night skiing and get the benefit of family-style dinner just a $32 (package for night skiing and dinner). Where to Stay: Book rooms in the ancient Shaker Farm Bed and Breakfast and also enjoy the majestic views of Mascoma Lake. You will find only one lift at the popular Silverton Mountain in Colorado but there’s a facility of helicopter ride to reach the top. Prices of the helicopter ride start from $ 179 for one run and $1100 for booking six runs. This unmarked and ungroom mountain is recommended for skilled and experienced skiers only and this keeps the number of visitors to a minimum. The Silverton Mountain takes pride in reporting that the amount of snowfall it receives in a year is greater than the total number of visitors in a day. Where to Stay: Book The Avon for accommodation, an old hotel since the 1900s perfectly preserved for skiers and tourists. One of the best ski resorts in the world, Solitude Mountain in Utah allows the visitors to visit the mega-resorts nearby namely, Snowbird and Alta. It keeps the snow conditions on the calmer side – over 500 inches of average snowfall throughout the year. There are 80 lifts serving 80 runs with three different bowls. This indicates that you will have the opportunity to visit empty slopes, regardless of the time of the year you visit. Where to stay: Stay at the slopeside condos Creekside Condominiums. It also has a relaxation element – the rooftop hot tub where you can soothe your tired muscles after skiing.